Successfully introduced in 2012 in the 100 mm high version, Rittal’s flex-block plinth is now available in a 200 mm high version, ex stock. Completing the series of sizes for the entire range of Rittal floor standing enclosures, the innovative design of the flex-block plinth provides simple but effective features providing time saving benefits. 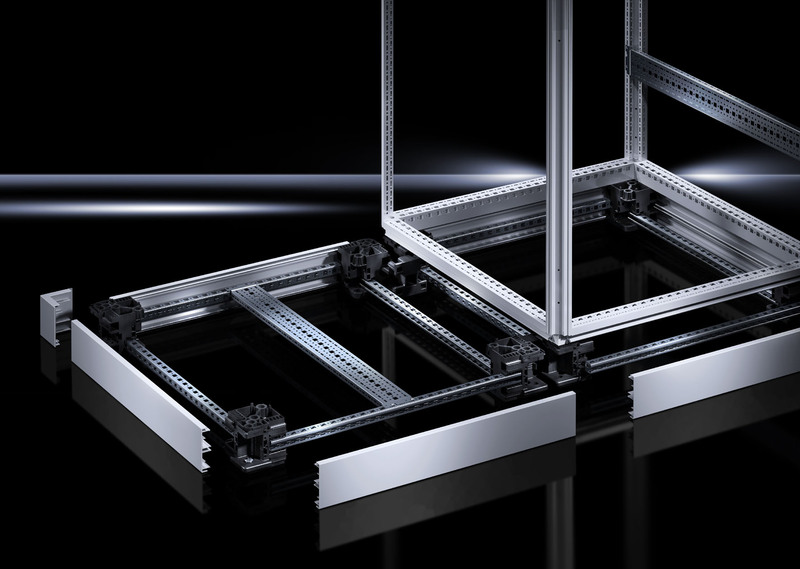 Rittal’s flex block plinth is bayable, provides reduced labour times by quick and easy assembly without tools; acts as a pallet preventing the need to double handle; enables the option for cable management/restrain within the base, freeing up space within the enclosure; strong with loads up to 15,000 N and a vented option is available, along with filters. Try the change, see the benefits and improve assembly times. 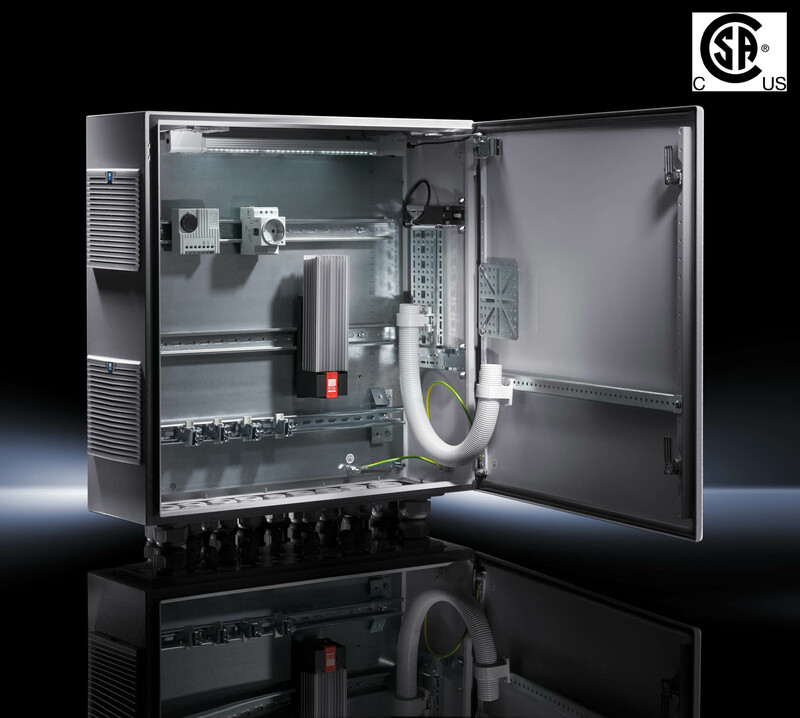 Visit http://www.rittal.com/de_de/flex-block/_en for more details. Uncertainty and procrastination on energy policies could cause potential investors in the UK’s datacentre industry to look abroad instead, according to a climate change expert from industry body Intellect UK. Government policy must stabilise to ensure the future of the UK datacentre industry, warned Emma Fryer, associate director of climate change programmes at the technology trade association. As bosses from the big six energy companies are called before MPs amid consumer outrage over recent price hikes, Labour leader Ed Miliband’s proposals for a freeze in residential energy prices have been gathering significant momentum, according to Fryer. “However, what’s much more dangerous than price hikes – which have been anticipated by the datacentre industry – is the continuing volatility of UK energy and climate change policy,” she said. “The irony is that much of the uncertainty over energy prices has been created by government taxes and levies. And now, attempts by politicians to put their footprint on energy are causing further uncertainty that’s jeopardising the future of the datacentre industry in the UK by forcing potential investors abroad,” added Fryer. Uncertain energy policies crippling UK datacentre industry’s future. Realism should rule in infrastructure debate | Opinion | The Engineer. So here we are again. Business case for High Speed 2, take five. In some ways this reminds me a little of Lewis Carroll’s the Hunting of the Snark — not a poem in several chapters, according to Carroll, but an Agony, in several Fits. The progress of HS2 is indeed agonising, and the paroxysms of opposition do seem fit-like. And, like much of Carroll’s work, many dismiss it as nonsense. There are those who think that taking five tries at the business case for such a large project smacks of desperation. Among those is Evan Davies, presenter of Radio 4’s Today programme, who noted that the argument in the new document had shifted from the increased speed of travel to the improvements in carrying capacity. Doesn’t that mean you’ve run out of ideas, he asked transport secretary Patrick McLoughlan yesterday. But of course capacity has been at the centre of the strategy of HS2 from the start, as readers of our coverage of the project will know. The Engineer has been broadly supportive of HS2 because we’ve always spoken to the engineers involved in planning the project rather than politicians, and they’ve given us arguments that make more sense. Whether they make £50bn-worth of sense is another matter, and that’s an argument worth having (and where our support comes up against serious questions). It’s the issue of capacity and alternatives which the latest study seeks to answer. This government’s record with statistics is dodgy to say the least, so its conclusions must be subject to scrutiny. But the assertion that upgrading the West Coast Mainline to provide the same capacity benefits as HS2 would lead to 14 years of service disruption and weekend closures should at least inject some more realism into the arguments of HS2 critics. It’s always seemed that suggesting the approach of upgrading existing lines as an alternative has seemed glib, as though it would be easy, or cheap, or free from any disruption. Whether or not the business case document is correct, there can be little doubt that such a severe upgrade would cause a long period of chaos. Other ‘simple’ fixes would surely also require more complex work than might first appear — can you just replace current rolling stock with double-decker trains without extensive rail replacement, reinforcement, rebuilding of bridges, and station refurbishment to cope with extra passengers? If the report refocuses the pro and con camps on the actual issues, rather than on rhetoric which doesn’t address the actual engineering, then that has to be a good thing. A project such as this needs to be discussed, and not in the context of political point-scoring and hysteria. The argument that HS2 will take express trains off the West Coast line and allow it to carry more stopping services seems sound and is familiar to us. It’s also argued that this would allow the West Coast to carry more freight, taking heavy traffic off the road. The arguments are strongly dependent on the demand for rail continuing to rise, and this is something worth debating — with increasing internet capacity and ‘virtual meetings’, do businesspeople really need to travel that much? If not, would non-business travel justify the cost? Would people rather take the train than drive? Link to “Welty’s Weekly Shorts”. This week’s Weekly Welty discusses Rittal enclosure features that set them apart from the competition. The Motor Driven Systems Conference visited Rotherham on Wednesday in the second of five UK dates aimed at helping industry professionals generate huge financial savings from motor driven apparatus. Hosted at Rittal’s UK headquarters in Rotherham, presentations from BPMA, ESTA, Carbon Trust and GAMBICA, among many others, contributed to a lively debate on how to reduce energy and make these potential savings a reality. John Wilkins, Marketing Manager at Rittal commented, “We were delighted to have hosted this important event and to have played our part in helping UK industry better understand the key issues surrounding improved industrial energy efficiency. The quality of both speakers and papers was exceptionally high and the reaction from delegates was tremendous”. The day was opened by Steve Schofield, Director of the British Pump Manufacturers’ Association (BPMA), who offered an appraisal of Europe’s position on Energy Audits. He said after the event, “The comprehensive programme of papers, and the focused nature of the topics covered, enabled all attendees to take away a great deal of acutely relevant information. I feel sure this will help them and their colleagues to implement good strategies for improved energy efficiency across their respective operations”. Next stop for MDS is Redditch on the 5th November, at the UK headquarters of WEG Electric Motors. For more information about this event and to book your place, please visit the dedicated MDS website – www.motordrivensystems.com. The remaining two events will be held at Hatfield and Bristol over the coming few weeks. Enclosure heaters can prevent the temperature of delicate electronic equipment from falling to a level at which condensation occurs and is arguably as important as providing cooling during warmer periods. Rittal’s enclosure heaters with fans have capacities in the range 250 W to 800 W and the smaller heaters, without fans, have an output range of 10 W to 150 W. Providing a high level of energy efficiency due to the incorporation of self-regulating positive temperature coefficient (PTC) technology, the heaters benefit from a development using computational fluid dynamics (CFD) and a compact physical size that belies their heating performance. Positioned anywhere inside the enclosure, Rittal heaters may be fitting being either by snap-fastening onto 35mm support rails or direct screw-fixing onto TS 8 punched frame sections. Quick and easy assembly is completed using clamp-type wiring terminals. Control is effected simply by the inclusion of a thermostat or hygrostat in the supply to the heater, ensuring that either a minimum temperature is maintained or maximum relative humidity is not exceeded. Rittal’s enclosure heaters are now available with CSA approval and can be installed on systems for export to Canada. Now with even greater security the new PC enclosure from Rittal with integrally moulded side panels and roof, internally glazed door and lockable keyboard drawer provides increased protection against unauthorised access. Fully compatible with Rittals range of system accessories with options of glazed doors, keyboard drawers, desk sections and small to large mounting compartments, Rittal‘s PC enclosure system can accommodate all computer equipment from monitor, computer system, printer and keyboard to the mouse. Will the deal to build the Hinkley C nuclear power station announced today help the construction sector as it begins to emerge from its worst recession in a generation? The chancellor of the exchequer, George Osborne, is in China, attempting to open the floodgates to a rush of investment from its overflowing coffers from mass manufacturing and raw materials into the UK economy. A major focus of the trade mission is to secure investment in the UK’s nuclear sector, with an agreement signed yesterday on civil nuclear cooperation between the two countries and talks believed to be taking place on China’s state-owned operator, Chinese General Nuclear Power Group (CGN), taking a substantial minority stake in the Hinkley Point C station which EDF is proposing to build in Somerset. The Financial Times is reporting that part of the deal will allow CGN itself to build and co-operate a nuclear power station in the UK at some unspecified point in the future, subject to the same safety regulations that other operators have to meet. CGN’s reactor design would also have to pass the Generic Design Assessment necessary for any new reactor to be approved for UK use. We’re all now aware of the government’s approach to UK infrastructure: it doesn’t matter who owns it as long as it works. But this one will ring alarm bells. When EdF is saying that British firms can’t reach the material traceability standards to even provide components for Hinkley Point — UK engineering contribution seems to be limited to digging holes and pouring concrete — should we really be laying down quite as much of a red carpet to Chinese firms, whose regard for safety is an unknown quantity? In fact, with continuing concerns about Chinese cyber-attacks on foreign governments’ computer systems, should we really be inviting companies which many believe to be effectively arms of the Chinese government into our critical infrastructure at all?